Are you more concerned about your Bible Study or your Neighbor? I’ve mentioned before that at Sun Valley (the church I have the privilege of serving at) we routinely gather the staff from all of our campuses together for a time of worship, celebration, communication, training…and of course a good meal. Recently we had the opportunity to spend some time with Dale Peterson who serves as the Executive Director of the Eagle Brook Association. Here are some of my notes from the conversation. The demand for people to know Christ is greater than our current capacity…so what are we going to do? Last spring, we released our first ever online course. Ultimately, we felt like pastors were facing ministry challenges they weren’t prepared to address. So, we wanted to create a convenient resource to equip you to win. We’ve loved getting to serve the community of leaders taking this course together, and we’re excited to announce that Fall 2018 enrollment for the Leading an Unstuck Church Course is now open! We want to invite you to be a part of this experience. 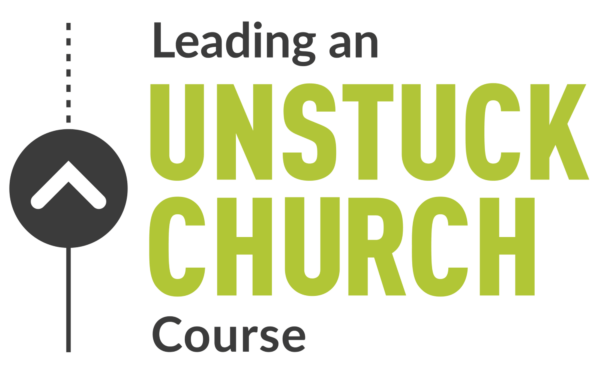 Addressing 12 core issues where churches get most often get stuck, the Leading An Unstuck Church Course walks you through how to staff for growth, how to develop more leaders, how to establish healthier finances, how to enhance your weekend services and eight more essential lessons to help you lead an unstuck church. This course will help you take your next steps as a leader by removing barriers to growth and giving you confidence to tackle these challenges as your face them. Check out the details and the FAQ’s for info on how to enroll. Whether you lead a large church, a small church or somewhere in between, this course will equip you with biblical wisdom and practical know-how to lead your church towards sustained health. Join our community of leaders to help navigate this journey. I wish coaching could solve every staff performance issue. I wish a little post game conversation would always turn into great results. I wish getting some team members a few more, “game like reps,” would improve their performance. I wish. Unfortunately, coaching isn’t always the solution. There are some team members who can’t or won’t receive coaching and need to be coached out instead of being coached up. But how do you know how to respond to each unique team member? Some high performers not only produce great results, but they welcome and respond to coaching. They’re always looking for ways to grow and improve their game. They have the talent required to perform at a high level and the character necessary to receive coaching and respond well. These team members are fun to coach. They’re the kind of people who do a lot with what you give them, and then ask for more. These people just need you to empower them and keep coaching them up. There are some team members who are insanely talented and have the capacity to deliver great results but lack the character necessary to receive and respond well to coaching. They may be a great talent but have really poor chemistry with the rest of the team. These are the kind of team members that you need to intervene with quickly and keep on a very short leash. They need to be provided with clear and quick consequences or they can mess up the entire chemistry of the team. No amount of competency can overcome a fatal flaw in character. Not every low performer needs to be coached out. There are many factors that impact poor performance. They may not have been given the right resources to succeed, they may have been placed in a role that doesn’t play to their strengths, or they may simply be young and inexperienced. If they have the character it takes to receive and respond well to coaching and have good chemistry with the team then coach them up instead of coaching them out. Sometimes you can’t avoid coaching a team member off of your team. It’s part of your responsibility as the coach or leader to not allow low performers to remain low performers. If a team member is constantly shifting blame to other people or circumstances for their poor performance, if they have a poor attitude, if there is poor chemistry with the team, if there is a character problem, if they don’t respond well and respond quickly to coaching it’s probably time to coach them out instead of coaching them up.